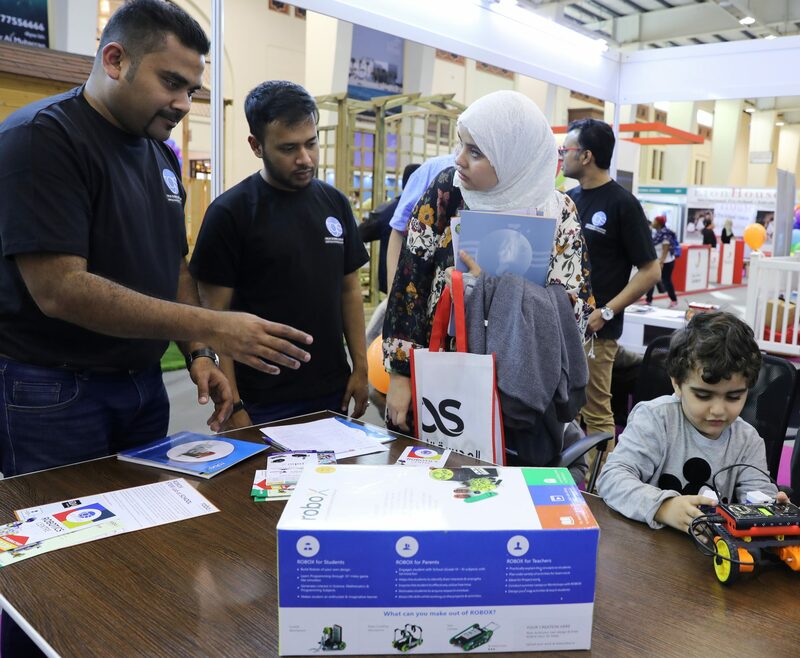 Talia Global Solutions (TGS) unveiled its Robox range of educational robots for children at the third Bahrain Schools and Childcare Expo held from January 18 to 20. In partnership with Jayrobotix, Singapore, the Robox system offers practical and experiential learning to students from the age of five. Robox is a unique platform which motivates, inspires and engages students to experience learning in an exciting manner. The robotics kit is highly modular with 33 different types of blocks and a brain with various inputs and outputs. Students can create any kind of structure ranging from a humanoid to a spider to cars to trucks and industrial mechanisms. TGS General Manager Abraham Mathew said, “We are extremely excited to bring an enhanced experience to students in Bahrain. Our system enables children to experience and put into practice what they learn in classes so that we add value to their learning. The system also comes with RoboGuru, a 3D virtual robotics programming and simulation tool with a physics enabled engine. It helps children to learn proramming from a very basic level and integrate science and various concepts into programming. The classes begin from February 23 at the TGS Robotics Centre in Adliya.